There’s a little brewery in Fayetteville, not too far from the University of Arkansas campus, that has been quietly making beer for the past three years. Some breweries open with dreams of conquering the beer world, but Columbus House Brewery is comfortable in its role as a small neighborhood pub with limited distribution. Its charm is in its humility, and it seems to be thriving as a result. 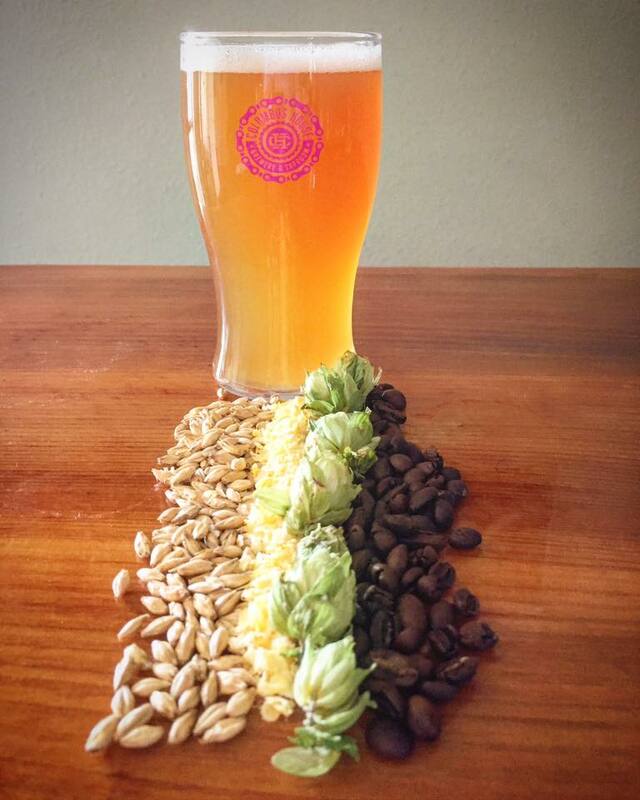 Columbus House is led by partners Carey Ashworth and Jason Corral, who opened the brewery on April 11, 2015. They have been operating on a 3-barrel brewhouse since that time, though they recently installed a 7-barrel fermenter to handle increasing demand. The extra capacity has allowed the brewery to send more beer to retail accounts throughout Northwest Arkansas, thereby introducing more and more people to beers like Yellow Card Golden Ale, Nutty Runner Brown Ale, Regnat Populus Pale Ale, and Spottie Ottie Oatmeal Stout. Since it’s so unassuming it’s easy to overlook Columbus House in the grand scheme of Arkansas beer. For that reason, we recently sat down with Ashworth and Corral for a Q&A session. You’ve been open for more than three years now. Has the original plan for the brewery changed since then? Ashworth: We really didn’t know what we were getting into. We thought we’d open, have four beers on tap, distribute them, and then potentially grow into a production facility. Three years in, it has been more of a neighborhood pub kind of feel. And since we are still small, we get to do really fun stuff with beer. We’ve done a lot of lagers and things that you that can’t do when you get bigger, when it takes too much of your time and resources. I’m really happy staying with this neighborhood pub kind of feel and continuing to grow in the distribution world, but not getting into canning or bottling. When we first opened we thought canning would be a part of our five-year plan. Now that we’re more than half way through our five-year plan, it’s something Jason and I have just started talking about. Our priorities are starting to change. We’re almost finished with our bank loan, and when that’s paid off, we have a lot more decisions to make. Have there been any big surprises or challenges since you opened? Ashworth: Every single day there’s a challenge or a surprise in owning your own business, but nothing that has been catastrophic. Corral: Nothing too negative. Actually, there have been a lot of great surprises. Things like how much involvement we’ve seen around our running club and the community we’ve built around that. Or what the Nutty Runner 5k has turned into. Or how successful some of our more philanthropic endeavors have been, like the giving back happy hours. It’s been really encouraging and surprising how well people respond to those type of things. Talk about the success of the Nutty Runner 5k. How have you incorporated running into the ethos of the brewery? Ashworth: The Nutty Runner has been a huge success, mostly because it’s a really fun event. Some people are appalled by the idea, but in a surprised way. Not because they are morally opposed to running and drinking beer, but maybe because it doesn’t sound fun to them. But then they do it and realize it is really fun. 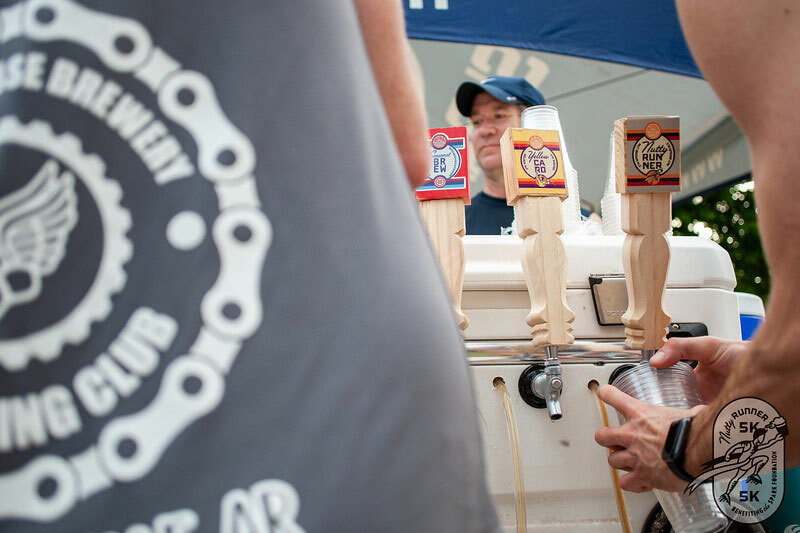 Sometimes you can take flack for that kind of thing in the craft beer community, by encouraging people to chug their beer and drink it really fast instead of sitting down and enjoying it slowly [the event calls for runners to drink a beer at each mile, with more beer at the finish]. But for us you don’t need to take craft beer that seriously. The Nutty Runner is just a fun event all around. You get around some incredible athletes, but also craft beer enthusiasts who don’t run at all. 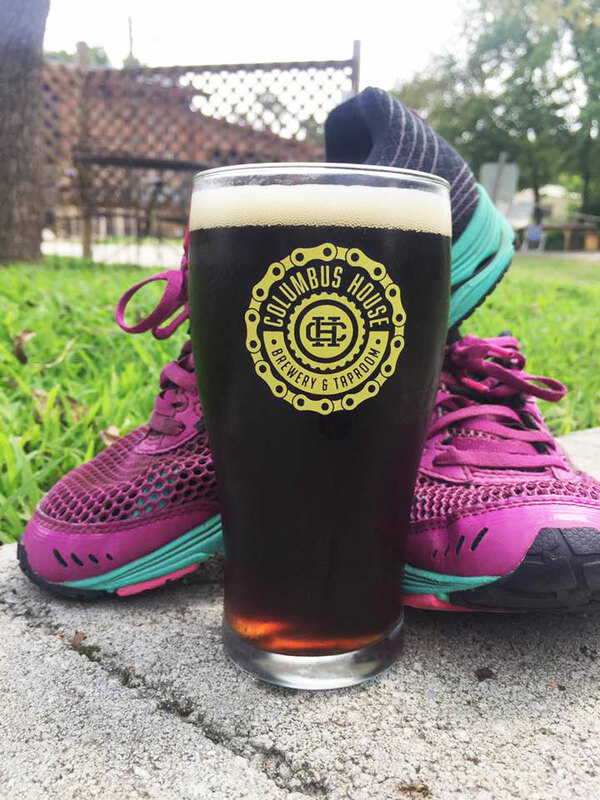 We also raise money for a local non-profit [The Spark Foundation] by releasing our Nuttiest Runner [a sour barrel-aged version of the brown ale]. We’re going to make an iteration of our nut brown ale every year to release with the run. Corral: We’ve just been dipping our toes into the barrel stuff this year. We’re trying new things and learning, hoping to continue developing that one. Ashworth: A while back we started hosting the Fleet Feet running club. They would meet once a month here. They recognized the success of having it at a brewery, and we recognized the success of having it here as well. When Fleet Feet closed, Brittany Rodgers [the store’s manager] and I talked and decided to start it here. I have a big part in it, and so does Jason, but really Brittany runs it for us because we don’t have a lot of time to devote to it. We have close to 70 paid members and we meet here every Tuesday and Sunday at 6:00. Corral: It’s always free to show up to the running club. You don’t have to be a paid member, but you get a t-shirt or a running tank top and we track your attendance if you are. At the 15-, 30-, and 50-week marks you get an incentive like a stainless-steel cup or a sweatshirt with the running club logo. And then we do fun challenges every couple of months. How would you describe the personality of Columbus House, and where do you fit within the Arkansas beer industry? Ashworth: We’re a pretty relaxed brewery. We always have dogs in here, and kids and families and that sort of thing. And our beer is really consistent. I’m not saying that other breweries’ beer isn’t consistent, but that’s something we hear from people who come in once every year after traveling around and coming back. They say things like, “This is exactly the same as I remember it.” And we’re still probably one of the smallest breweries in the state. We just recently expanded our taps to eight, so we do a lot of fun one-off things that might cost a bigger brewery an absurd amount of money. But on our small scale we can keep it cost effective. Corral: We try to stay community-focused. We reinvest in our community a lot and contribute to various non-profits and charities. 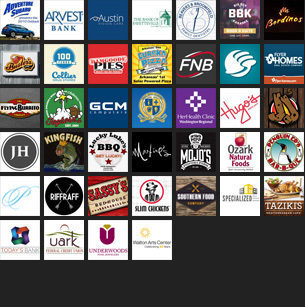 We get to be involved and see a lot of familiar faces, get to know a lot of our customer base. We take that aspect of it really seriously. Which beer is the biggest seller? Ashworth: Yellow Card Golden Ale and Spottie Ottie Oatmeal Stout are our two biggest sellers, in general. It kind of changes month-to-month, but we distribute a lot of those two beers. Which beer is your personal favorite? Ashworth: The nut brown has always been my personal favorite. There are a few seasonals that we have done over the last three years that I got pretty attached to. The California Common was one of my favorites, and the black IPA. And our Belgian Dubbel is honestly one of our most popular beers, but we don’t have it around all the time. Corral: I don’t necessarily have a firm answer for that. I feel like I’m mostly a beer fan in general, so I just cycle through all of our beers being my favorite, along with other beers out in the community as well. We try to buy a different six-pack every time we go to the liquor store. Who is your favorite Arkansas brewery not named Columbus House? Ashworth: We get asked that a lot, especially by people from out of town. And I’m not just trying to be PC when I say this, but I have found something I like at every brewery I’ve tried throughout the state. I can’t think of a single time when I’ve had a poor experience. There’s always a beer on tap that someone did a really good job with, or somebody behind the bar that was really passionate about owning that brewery or being a part of it. Corral: Generally, the smaller and more locally-owned the more that we recommend it. We’ve built a good relationship, for instance, with Kort [Castleberry, the head brewer] at New Province and he’s doing great things up there. The more we’re on the same team, the better. Ashworth: Fossil Cove comes in on Mondays and they’ll bring us their new stuff in crowlers or bottles, so we keep up with them, too. Besides the taproom, where can we find your beer? Corral: Ginger, Wasabi, and The Nines here in Fayetteville. We just recently dropped the Weekend Warrior IPA off at Farrell’s. We’re also at Reggie’s [New York Pizzeria] in Bentonville, and Birra-Vino’s and Creekside Taproom in Siloam Springs, among other accounts across Northwest Arkansas. People are increasingly worried that craft beer is experiencing a bubble. Do you see more room for growth in Northwest Arkansas? Ashworth: I think so. People have been saying the market is saturated since we opened. Which I think is absurd because when we did our market research we saw that this is the least saturated market of this size. Go to Boulder, Fort Collins, or Asheville and you’ll see that we’re definitely not saturated here in Fayetteville. Maybe it’s just that the consumer is growing tired of the same stuff. You kind of saw that with Dogfish Head finally coming into the state. People were really excited about that, myself included. So maybe you have to shift in a changing market. We’ve expanded our seasonal taps because people come in and immediately want to know what’s new. My favorite question that I’ve been getting lately is, “Which one is going to run out the fastest?” And that’s what people want to buy. They want what they can’t get again. Corral: I think maybe there is a bubble for breweries of a certain size. One that we’re not a part of and won’t be a part of for a long time. I’ve been reading more and more about breweries closing lately, and it seems like they are some of the larger regional types. Ashworth: Yeah, we’re not really in that place yet. I think the consumer is looking for smaller, locally-owned breweries where they can come in and talk directly to the owners. Do you have any advice for people who are thinking about opening their own breweries? Ashworth: I would suggest they develop an identity. If you don’t have an identity or something for people to hold on to, and a way to back it up, you’ll never gain traction. People won’t understand what you’re about, or why you’re doing this. I love it when people come in and say, “Tell me about your brewery.” I think that’s kind of fun. I feel more connected to businesses that have that kind of identity—when their beer tells a story, or when their name tells a story. Corral: My response kind of echoes that. Don’t try to do what other people are doing. Just do your own thing. If you try to copy what another cool brewery did somewhere else, people won’t connect with it as much. Also, be willing to work really hard and not make a lot of money for a long time. On a more personal note, you recently got engaged and plan to get married next April. How do you balance your business and personal relationships? Corral: We’re still working on it. Our relationship dynamic is different than a lot of people’s because we literally spend every minute together. We work together, live together, travel together, have the same hobbies. We bump into new challenges all the time. We just communicate and figure things out along the way. It’s just how we’ve been since the beginning. Ashworth: More than one or two people have told us that it’s a terrible idea, opening a business with someone you’re dating or marrying. Not to be super cheesy, but wouldn’t you like to open a business with your best friend? I don’t really see it as a couple thing because we have been friends for so long. We get to share all the fun things — along with the bad things, of course — but I don’t have to call him up and tell him what I did today because we’re already high-fiving about it.